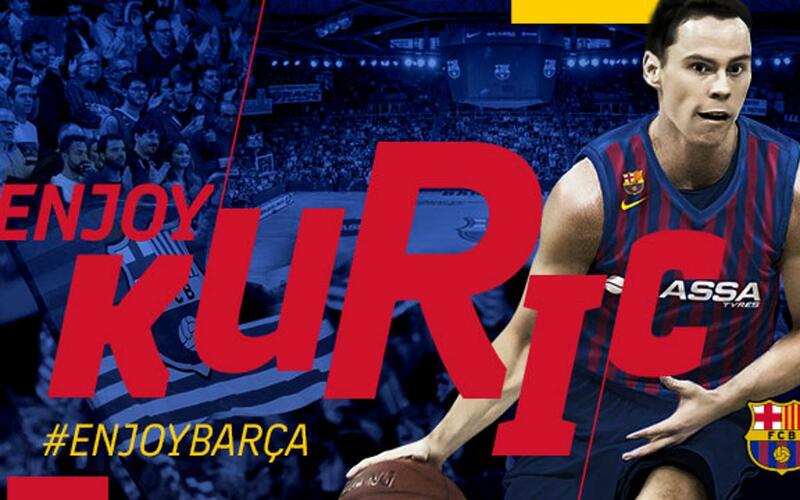 Kyle Kuric will be a Barça Lassa player until June 30, 2020. The American, 28 years old and 1'93m, will reinforce Barça for the next two seasons after an agreement was reached with Zenit Saint Petersburg. Kuric is a player that’s always involved, whether it be from three-pointers, driving to the basket or contributing to defensive tasks. Formed at the University of Louisville for four years, from 2008 to 2012, Kuric was not drafted by any NBA team so moved to Europe, specifically to the Endesa League. He signed for Movistar Estudiantes where he completed two great seasons (2012/14). His points average was 11.2 in his first campaign and 13.5 in the second. His good performances earned him a move to Herbalife Gran Canaria, where he played a total of three seasons (2014/17). Whist there he averaged 11.9 points, 7.5 points and 12 points per game, for his three campaigns. He also played in the Eurocup for three seasons, totalling 43 matches and with a 14.3 point average. It should be noted that in the 2014/15 and 2016/17 seasons Kuric was chosen in the second best five of the Eurocup, and won the Endesa Supercup with Herbalife as well as being chosen MVP of the competition. The 2017/18 season has been really good for Kyle Kuric on a personal level. He was the eighth top scorer of the Eurocup with 15.2 points per game and completed a brilliant Top 16: 22.5 points with a 57% success for three-pointers. Those numbers were enough for him to be chosen as the MVP of the second phase of the competition. In the VTB United League, Zenit finished third, reaching the Final Four, and Kuric finished the campaign with an average of 16.4 points per game in the 29 games played.